This stunning bed frame provides you with three spacious drawers that will help keep your room neat and tidy. Delivering a superior level of style and comfort, a Shangri-La bed frame is a must-have in any bedroom. 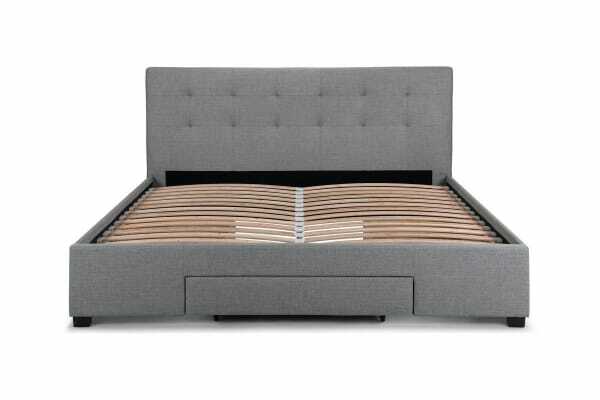 Its classic yet contemporary design allows it to blend perfectly with your decor, and the padded headboard provides a comfortable resting place. 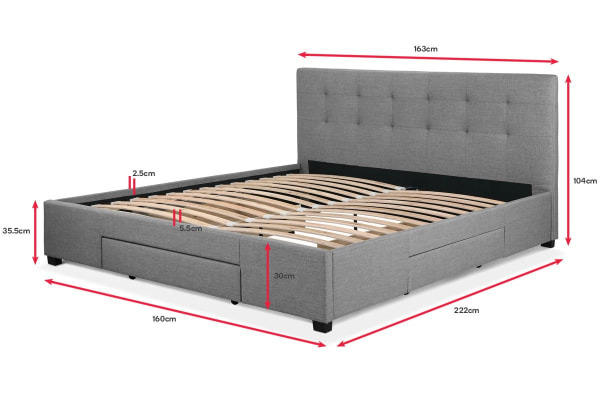 Shangri-La bed frames are easy to put together and made with sturdy, high quality materials that guarantee long lasting comfort. Bed frame requires some assembly. Was in very good condition and quite easy to assemble.